A feast for the eyes. 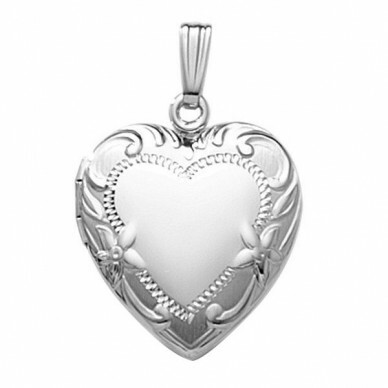 This romantic sterling silver heart locket has a rich Victorian embossed edge. 3/4 inch across, it comes with an 18" sterling rolo chain. The center and back are polished and the edges are both polished and brushed. It is quite beautiful. 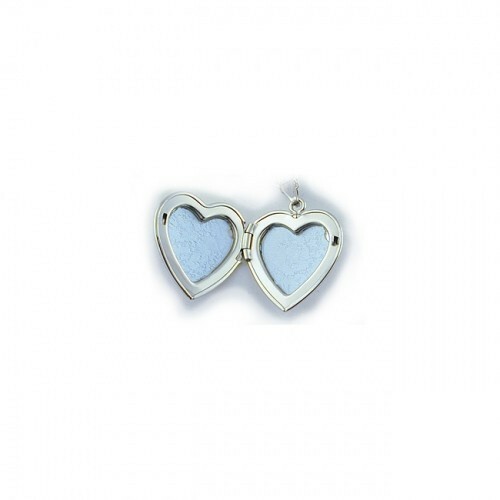 This is an average sized locket for a grown up woman. So it is perfect for the ever growing child! As she will treasure it always. 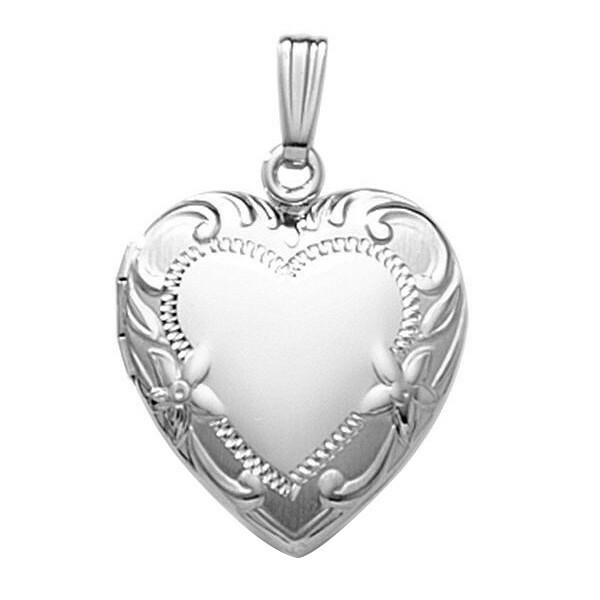 Engraving available in the shopping cart. Made in the USA with a lifetime warranty.